We fight cities so you can live in them. Show your support with a sticker. As much as we wish we could, CaRLA can’t be everywhere all at once. But what if we could? With the help of our supporters who live all over the great state of California, we might be able to. Or at least our propaganda can. 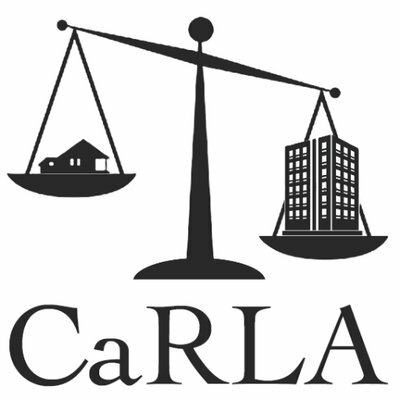 Today we’re announcing the availability of CaRLA swag! We’ve prepared a batch of stickers using a re-imagining of our logo. You can buy them in packs of three or five, with all proceeds being invested back into the organization so we can continue to fight for your right to housing. Pick up a set for yourself in the new CaRLA Store!